Ručně vyrobené ukulele z havajské firmy Big Island, dílny jsou v Japonsku a ve Vietnamu. Ručně vyrobeno z Koa masicu masivu koa, a s"želva" lemováním. Koa je z havajského ostrova "Big Isalnd". Big Island Series solid Koa, Mango and Khaya Mahogany are made with the same quality construction as the Honu series but with a few slight differences. They are made with a more traditional three-point head and tie-style bridge. Concert and Tenor models have a slightly bigger body depth and width. The Koa tortoise series uses a combination wood rope and faux tortoise (made in Japan) binding. The Mango series uses Koa binding and extra-large rosette. 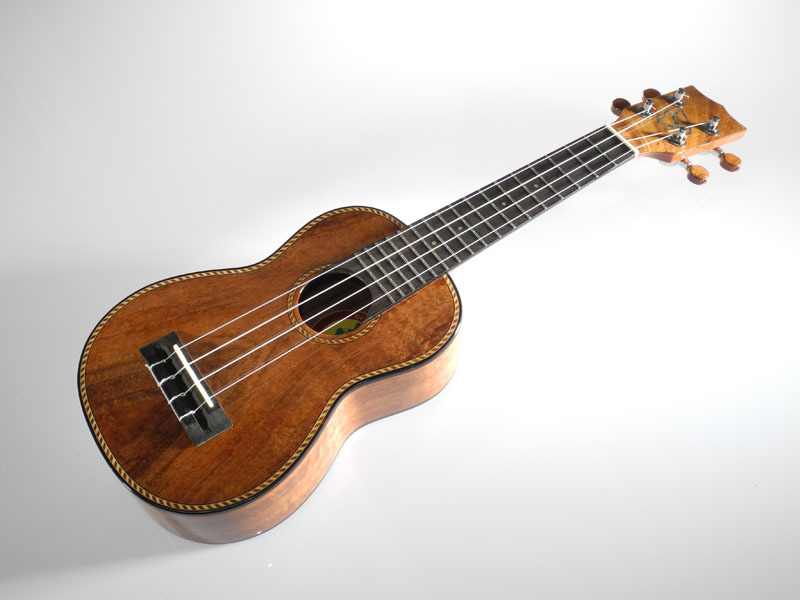 Traditional three-point head stock with Big Island Ukulele Co. logo with abalone inlay standard on all models except the standard mahogany. 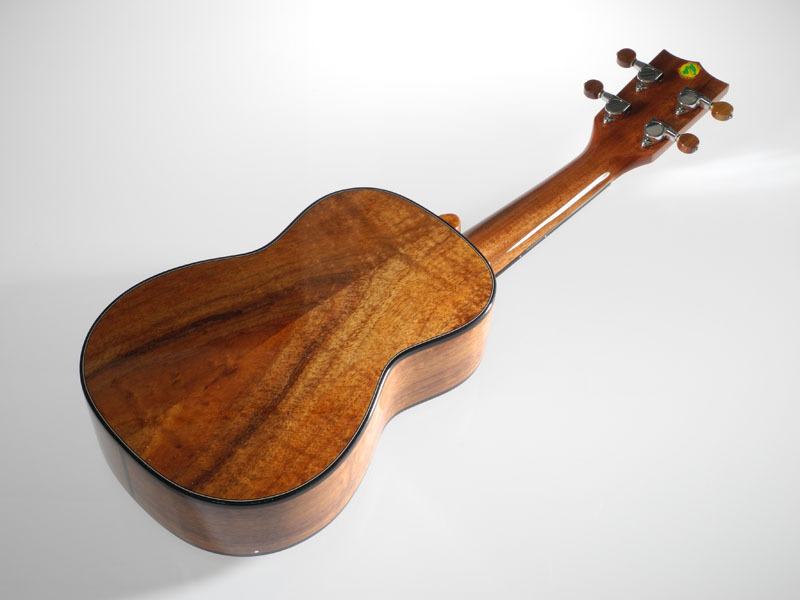 Koa series come standard with custom-carved koa buttons for both the friction tuner on theTraditional three-point head stock with Big Island Ukulele Co. logo with abalone inlay standard on all models except the standard mahogany. Koa series come standard with custom-carved koa buttons (Mango series uses mango buttons) for both the friction tuner on the Soprano and the geared side tuners on the Concert and Tenor models.